Briefing. 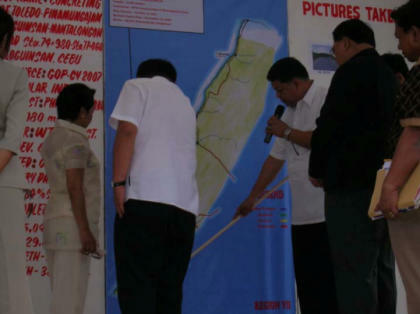 DPWH 3rd district engineer James Dellosa (right with stick) briefs Pres. Arroyo of the newly concreted road project.